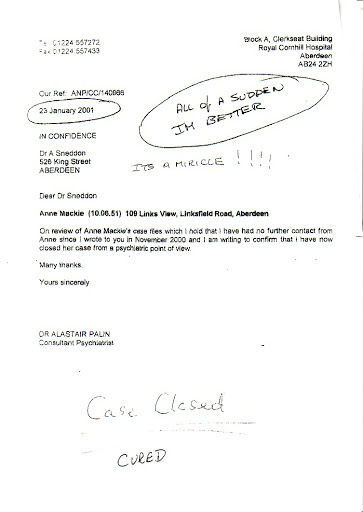 Dr. PALIN; Dr. SNEDDON; « HOLLIE GREIG etc. Something of a miraculous recovery – if not a Damascine withdrawal of diagnosis! To view a clearer version of this double click the page.